due to come iOS8 incompatibilities with some of my apps – i removed them from sale. i have upgraded the code to the Prep4finals style of app which a lot seem to prefer. I’ve submitted the Physiology app and its been approved just now – so is available for upgrade. Over the next week or so I plan to upgrade all the other apps. v2.5 out Prep4Finals is out. Its almost worth a v3. monicker. We have 2 new authors – adding 30 new questions. I have added a little colour, added pictures! fixed a little bug and changed the code slightly so it runs faster! I’ve added a top level score and added on screen author acknowledgement. Comments welcome, feature requests welcome – I don’t promise to do them but I’m keen to hear if any features are wanted. Uploaded v2.0 of A2Z of Dermatology and the HD version this weekend. Completely rewritten in iOS7 code with ARC and storyboarding…. 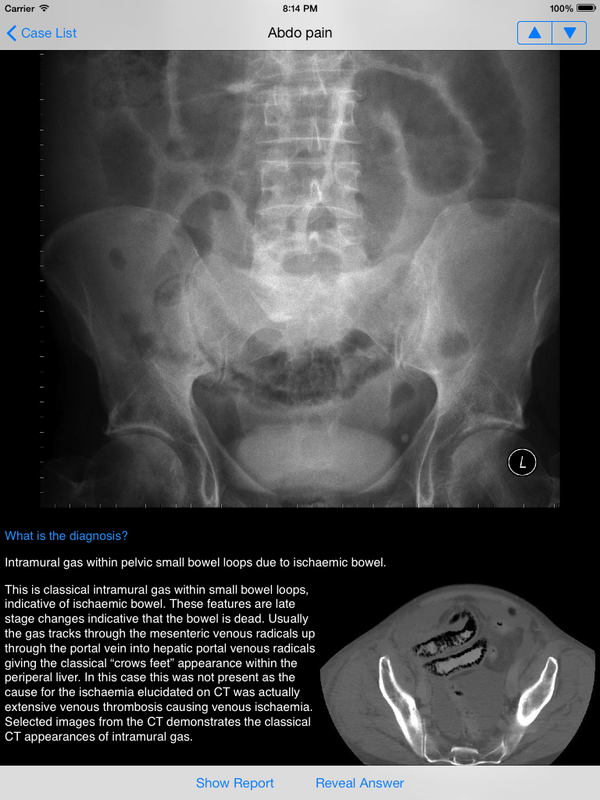 Xrays4Medics 2.1 is out which fixes the crash on iPad issue but it has a screen size bug on the iPad which 2.1.1 fixes. Its amazing you would think ticking the auto layout button would sort problems – not create them! Anyway I’m working on A2Z of Dermatology now and hope to get that updated soon – hopefully without these little bigs! alas although v2.0 is out there is a bug that on some machines stops the iPad version from loading. I’ve submitted v2.1 to apple – its normally taking 3-5 days for approval so please bear with us! 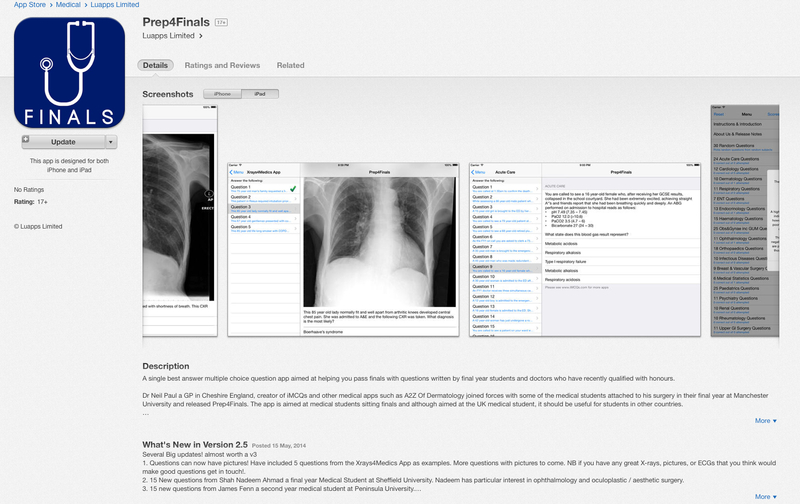 Just uploaded the iOS7 version of Xrays4Medics! rewritten with ARC and in modern iOS7 syntax! Only real noticeable difference is new colours and look and feel.